Products Saba Uses — Think it, do it, be it! 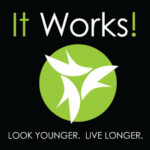 Here are links to the products that Saba uses and mentions in her book. Gano is one of my favorite products. I’ve been drinking a cup of Gano 3-in-1 coffee every morning for 15 years., Unlike regular coffee which is acidic, Gano changes the acid into alkaline which makes this coffee the healthiest gift for your body. Plus it’s delicious! 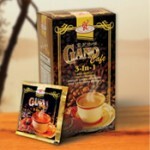 Gano Café is a nutritious health beverage made from Ganoderma extract, high quality coffee, non-dairy creamer and sugar. Brought to you exclusively by Gano Excel™. Contact Saba for sponsorship / endorsement opportunities.